Texas Longhorn Beef for a Healthy Lifestyle! 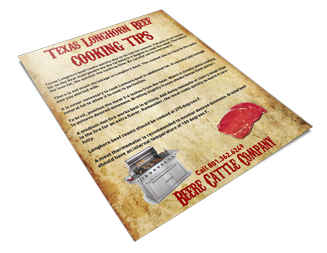 Texas Longhorn beef is perfect for today's health-conscious consumer. 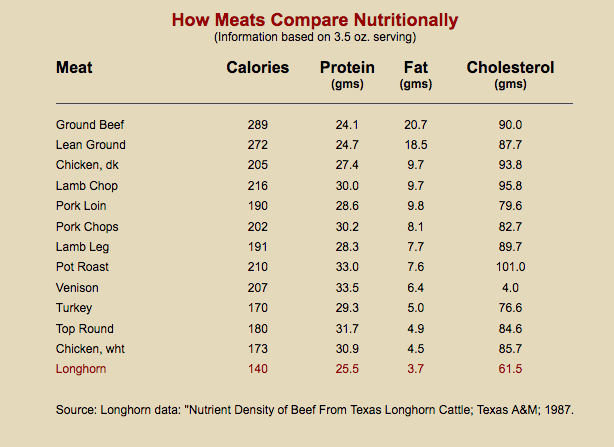 Not only is Longhorn beef leaner than that of other breeds, it is also lower in saturated fats! 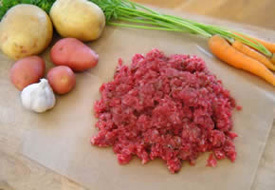 The flavorful Longhorn beef has less cholesterol and calories than chicken. Definitely good news for a healthy lifestyle! Simply enter your email address and you'll be notified when we have steaks and roasts ready! If you didn't already do so above, simply follow this link to join our mailing list. We will send you updates when we have steaks and roasts. We'll also send you a copy of our Free Cooking Tips!